You might need to first check the Mpesa charges for a transaction you are about to carry out if you are not sure whether you have enough cash in your Mpesa account. This is however as easy as 1,2,3. Here’s how you go about it. Enter the ‘Paybill Number’ or ‘Merchants Till Number’. 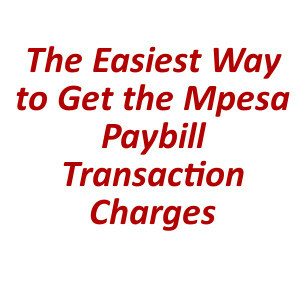 You can get the Mpesa Paybill number to any business by following the instructions in the link.